Truly oriented for sick care since 1985, Wilky Bathing bars are enriched with Glycerin, Vitamin E, Jojoba oil and Aloe Vera oil. Wilky Glycerin Sunflower Handmade Soap is a dermatologist approved bathing bar that washes away germs and keeps away its harmful effects. Wilky high quality glycerin soaps are exquisite quality soaps which suit your sensitive skin especially in light of the fact that these soaps don't irritate or have any harmful effects on your skin. Wilky glycerin soaps are excellent skin hydrants and provide moisture to skin. Vitamin E helps to protect from possible UV damages to skin. Using Wilky glycerin soaps regularly makes your skin soft, smooth and nourished. 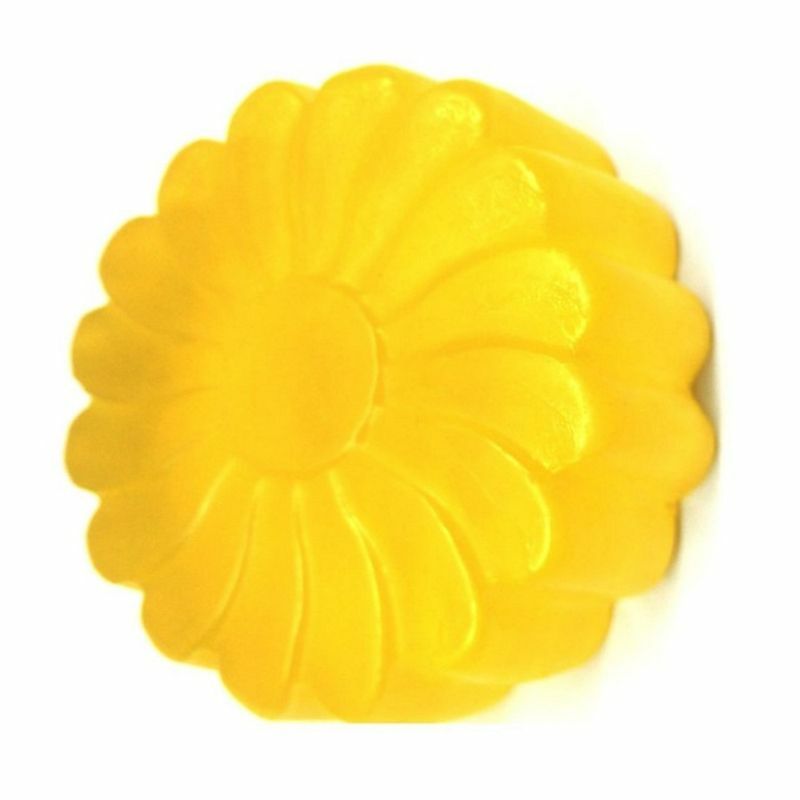 Wilky Sunflower Glycerin Handmade soap is yellow in Color and has the fragrance of Lemon.